Product Information : The smooth grooves in this ornament allow water to flow through the ripples like fingers running through sand. Its soft color allows it to blend with any surrounding. 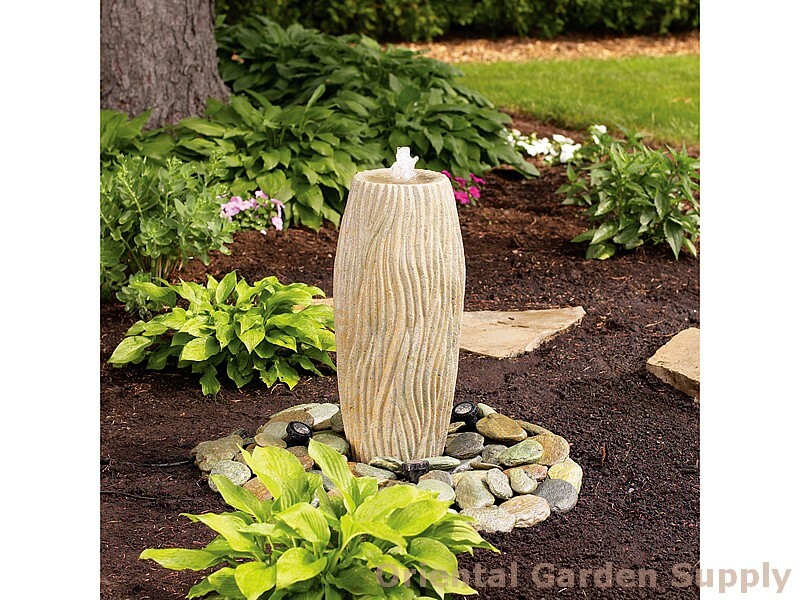 Lightweight fiberglass polyresin material with a natural granite composite finish. Includes 1/2in diameter hose for pump connection. Measures 23.8in x 10.4inin diameter.